It turns out gluing myself to the couch was a totally necessary. 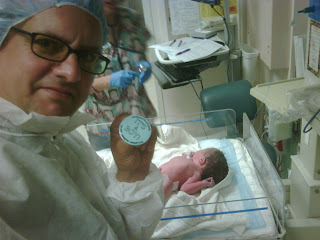 Our little Frank Patrick held on just long enough, and joined the world 5 weeks early. On 11/11/11! What a cool birthday for a our cool little man! I can’t believe he’s already 2 months old. This has been the most overwhelming, exciting, unbelievable 8 weeks.